All of these titles are available online. Reviews on Amazon and Goodreads are always appreciated. 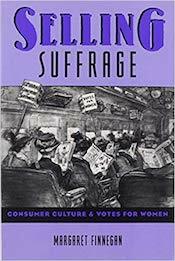 Margaret Finnegan’s path breaking study of woman suffrage from the 1850s to the Nineteenth Amendment in 1920 reveals how activists came to identify with consumer culture and employ its methods of publicity to win popular support through carefully crafted images of enfranchised women as “personable, likable, and modern.” Buy Selling Suffrage. Penne Armour laughs when she learns her “inner goddess” is Venus. But when her soon-to-be ex-husband goes missing, Venus may be just who Penne needs to help her face down a one-eyed fashionista, a boar-taming olive-oil rancher, a hypnotic lounge lizard, an ocean of traffic, and her own increasingly irrepressible feelings for a businessman with a danger secret. 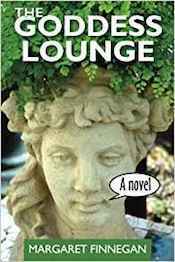 A comic riff on Homer’s Odyssey, The Goddess Lounge asks the eternal question: Why be a hero when you can be a goddess? Buy The Goddess Lounge. The historic, handsome city east of Los Angeles has served as home or creative inspiration to countless writers and artists since the Arroyo Arts & Crafts scene of the early twentieth century. This volume gathers an extraordinary array of authors, each discovering his or her muse by writing about this special area and the challenges and triumphs of its diverse population. Contributors include beloved bestselling authors as well as talented newcomers whose work is introduced here for the first time. All have found an original literary vision in Pasadena. 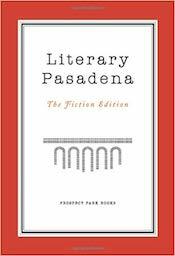 Buy Literary Pasadena.